Porcelain miniature by Svetlana Oreshkina – tea sets, stunning in their brightness, vividness and naturalism. According to the master herself, she has been creating porcelain miniature for more than twenty years. Meanwhile, mniature birds that adorn the plates, look like they are going to fly up any minute, and berries on plates look as fresh as if they have just been picked up. The nature itself enclosed in these small porcelain figurines. Indeed, butterflies, bees, frogs, dragonflies, grasshoppers, and lizards – everything breathes with life. 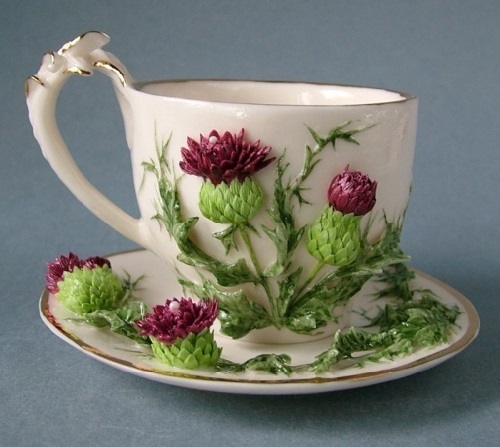 Just look and enjoy a warm summer day, when buttercups, violets, daisies bloom on the porcelain plates and cups. Born in Moscow, Russian porcelain artist Svetlana Oreshkina lives and works here. She graduated from the Moscow State Open Pedagogical University. Besides, she is a member of the Artists’ Union of Russia, and a permanent participant of national and foreign art exhibitions. Born in Norway in 1968, Kevin Gordon, together with his family moved to Australia in 1980. According to Kevin, he followed in the footsteps of his father, having been engaged in the processing of glass. His skills developed through the influence of his parents, Alasdair and Rish Gordon. 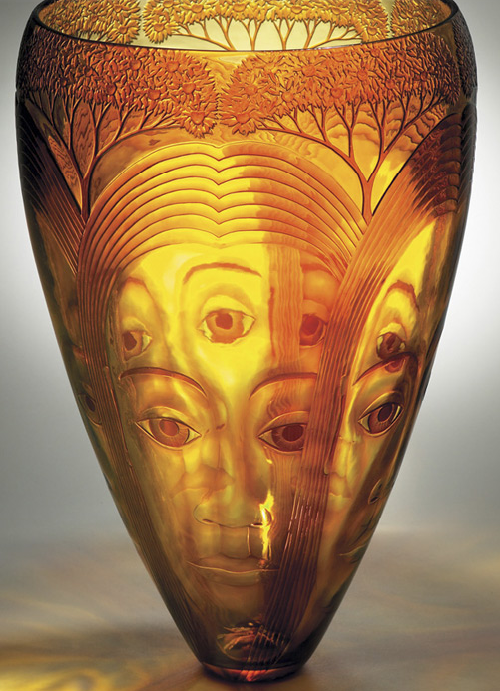 In glass art, by the way, are engaged other members of the family – his sister Eileen Gordon and her husband Grant Donaldson. And the last ones have their own Studio of Glassblowers. Meanwhile, in 1992, Kevin has created his own studio, specializing in engraving on glass. Kevin’s work featuring a unique appearance, is very popular among collectors, and in great demand in the galleries. The talented artist participated in numerous exhibitions, which took place in Europe. Besides, he has many prestigious awards. What was 2014 in art? Where is the most unusual museum opened, who made the most impressive work of art and where they built the most strange building? The most amazing art news this year – in spectacular photographs. 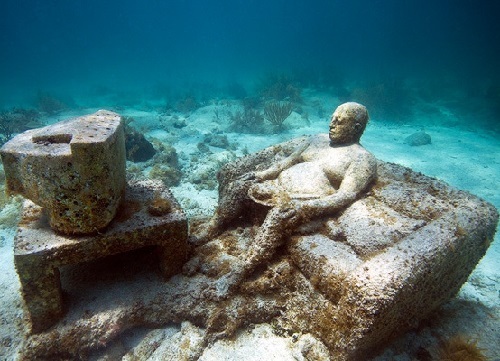 First underwater art museum called MUSA (Museo Subacuatico de Arte) opened off the coast of the West India Islands by sculptor Jason de Kleyrs Taylor. At the bottom of a shallow lagoon installed more than 500 of his sculptures. Gradually they become overgrown with algae and coral, so it’s a real changing museum in a changing world. 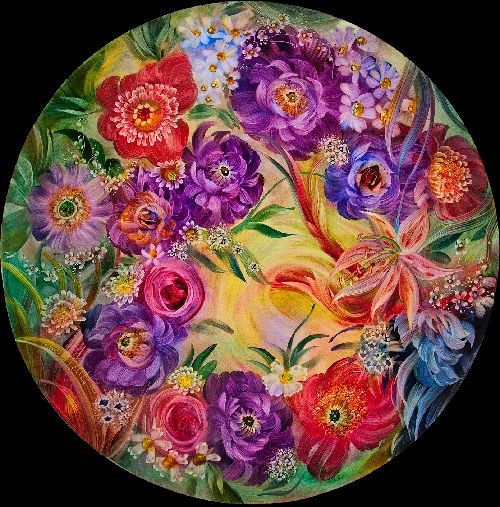 The work of the artist, first of all, reflects his love of the ocean and nature with their coral reef and floral designs. 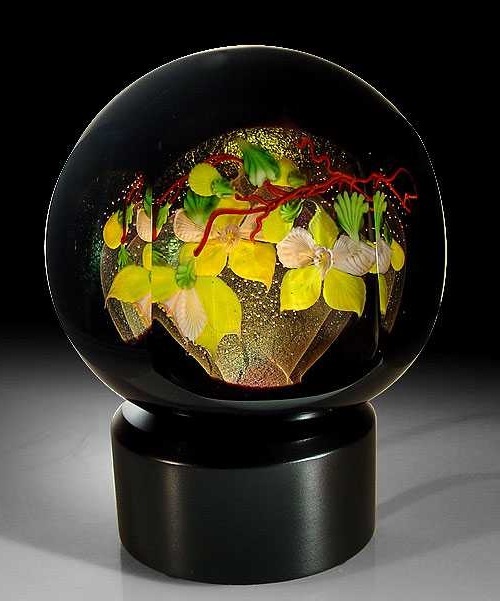 Mayauel has created the beautiful gallery of glass art works, which are now in great demand. In particular, in the United States and abroad, including Hong Kong, England, Germany and France. Born and raised in Manhattan Beach, California, Mayauel Ward studied in a college to become a physical therapist. However, after one class in glassblowing he was hooked. After college, Mayauel went to work for Correia Art Glass, followed by Abelman Art Glass. In 1988 Mayauel started his own glass business making lampwork paperweights vases, light sculptures and perfume bottles in his home studio. The colorful world of glass artist from Denmark – hand-painted lamps, chandeliers, wall sconces, and other unique installations. They are stunning, unique and highly collectable. According to Ulla Darni, she graduated from the Royal Academy of Fine Arts in Copenhagen – Royal Copenhagen Porcelain. And immediately after graduating she established herself as a talented designer and painter on porcelain. Ulla Darni successfully exhibited her works at the Museum of Bronx, Lever House Gallery, the Empire State Plaza, and in various galleries throughout the world. Meanwhile, for her truly magnificent, one-of-a-kind technique “Ulla” she is called “Tiffany of the light”. Noteworthy, beautiful and talented person Ulla Darni experienced a career on stage and screen. In particular, she worked as an actress for seven years playing roles in films, including the international award-winning film, The Duel. In 1967, Ulla moved to New York City, where she and her husband and business partner, glass sculptor Lawry Swidler, live and work now. Born in New York City, Liza Lou is a talented American conceptual artist. She became known internationally for her large scale glass bead installations. In particular, room-size sculpture of Kitchen with all appliances and furniture made entirely of bright colored glass beads of different sizes and shapes. And also, wire, and plaster. All objects of backyard installation with trees, flowers, grass, and a bench – covered with a dense layer of multicolored beads. In the project “Kitchen”, as in many other works, Liza is experimenting with turning small beads in a fundamental element of creativity. In addition, filled with love to detail. Noteworthy, the installation “Kitchen” – exhibited at the New Museum of Contemporary Art, New York in 1996. According to Liza Lou, she began creating bead installations when she was twenty. And for today, she has had twenty years of successful artistic career. Her recent 2014 solo exhibitions took place in Goodman Gallery in South Africa, Galerie Thaddaeus Ropac in France, and Bermondsey in England. The eighth wonder of the world, stained glass is a child of light and color. The play of colored shadows on the floor and walls from stained glass turns ordinary world into fabulous. The invention of glass is truly a gift of God to mankind. And what people make of it – a steady stream of miracles. Originally, stained glass decorated temples and palaces. However, luxury paintings of colored glass were available only to the powerful. 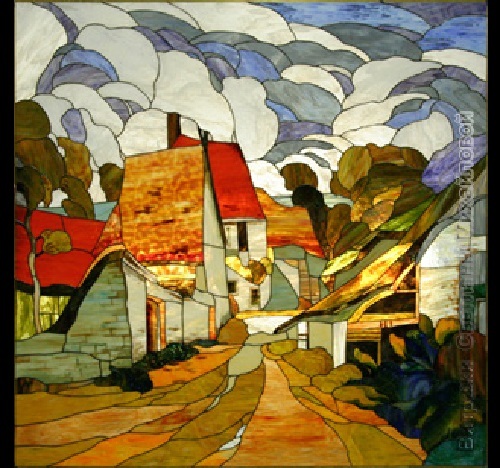 Even today, stained glass does not apply to daily acquisitions of ordinary citizens. Meanwhile, the art studio by Svetlana Mikhailova opens up a whole new, colorful and unique world of contemporary glass, filling the interior with the atmosphere of festivity and solemnity.